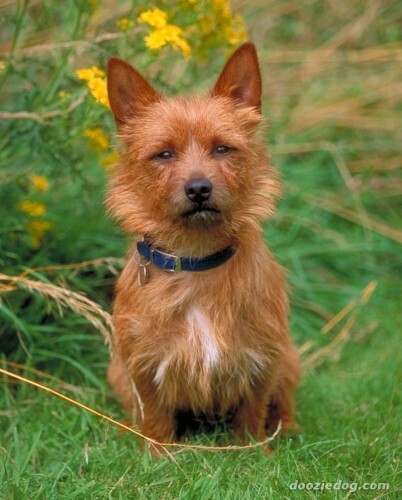 Though one of the smallest terriers, the rugged Australian Terrier was developed in the harsh conditions of the Australian Outback, where he worked side by side with the pioneers -- controlling rats and snakes, alerting humans to intruders, even tending sheep. He's ready for any situation. With that easy self-confidence comes his readiness to enjoy a good friendship. 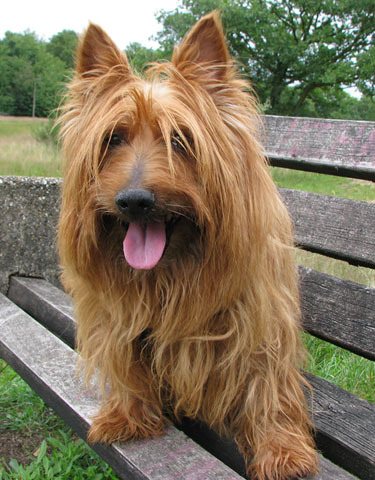 The Australian Terrier was the first Australian breed to be recognised and shown in its native land. 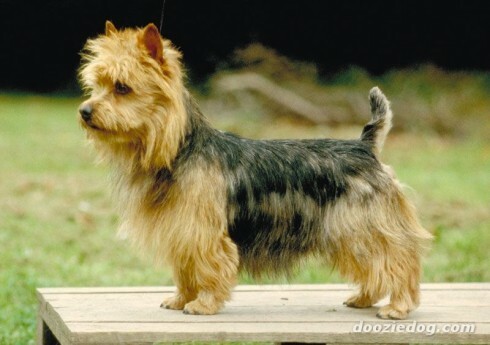 The Australian Terrier has an affinity for children, the elderly and the handicapped. 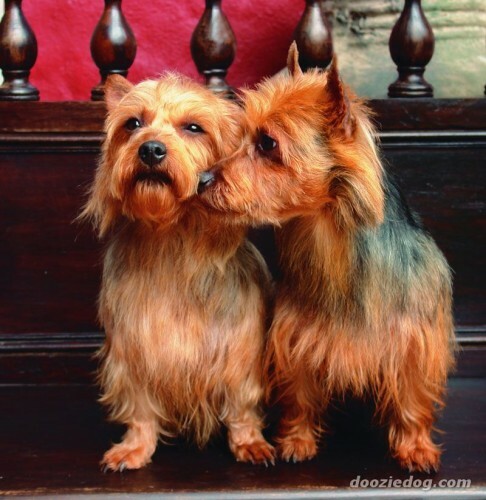 So you want to own an Australian Terrier? 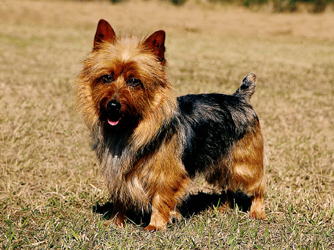 The Australian Terrier is a small sturdy dog, full of spirit and courage stemming from his background as a versatile working dog from the outback of Australia. 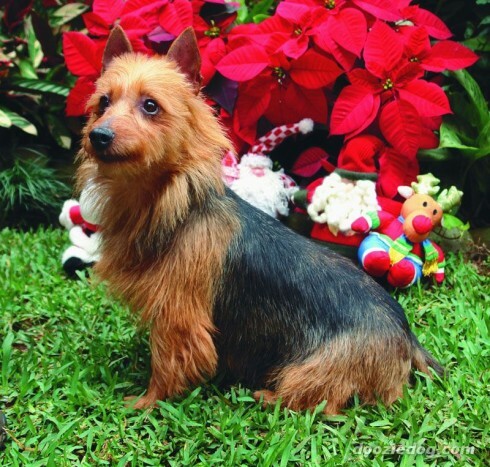 The Australian Terrier's friendly and affectionate disposition make him a wonderful companion and friend. 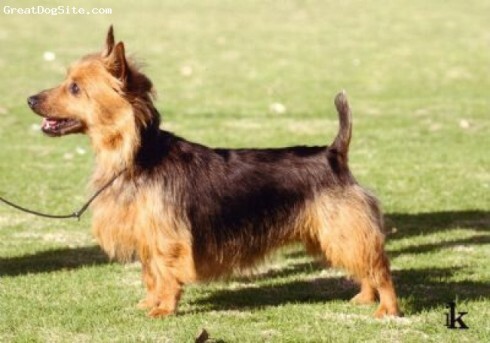 Small with keen expression and of dark brown colour, set well apart and not prominent. 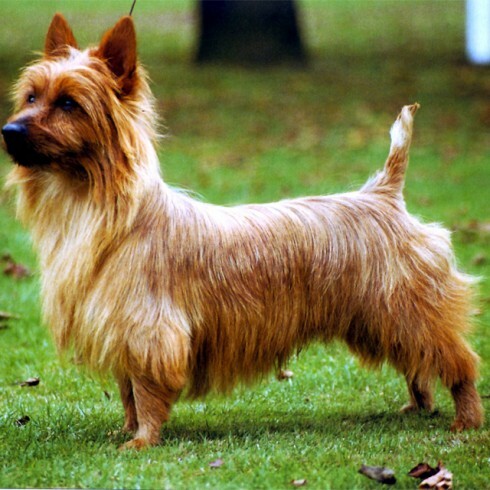 Long in proportion to height, strongly constructed, with well sprung ribs and chest of moderate depth and width. Level topline. Loins strong. Flanks deep. 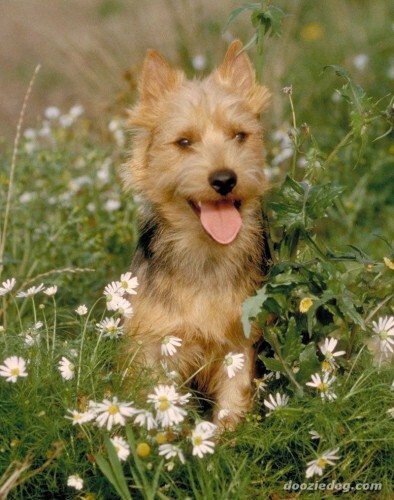 Free, springy and forceful. 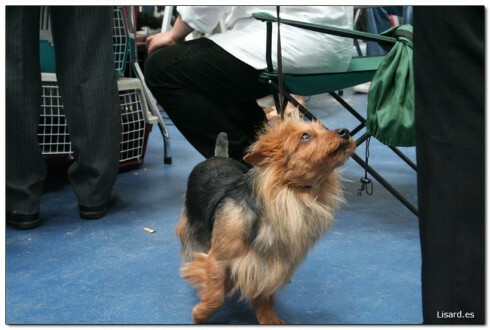 When viewed from front, forelegs move truly without looseness of shoulder, elbows or pasterns. Hindquarters have drive and power, with free movement of stifles and hocks. Seen from rear, legs from hocks to ground parallel, neither too close nor too wide. Body coat consists of harsh straight dense top coat, approximately 6.35 cms (21/2 ins) long with short, soft-textured undercoat. 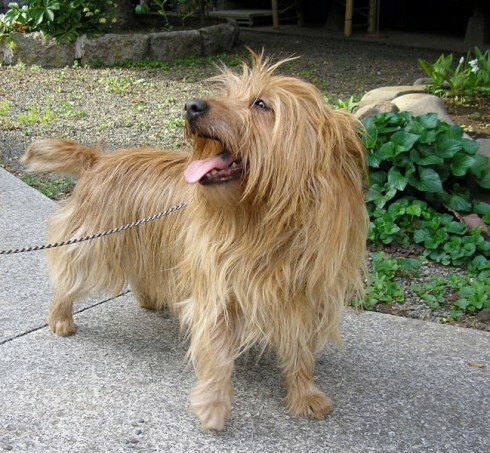 Muzzle, lower legs and feet free from long hair. 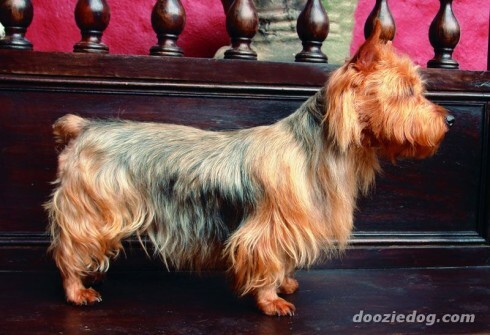 (a) Blue, steel blue or dark grey blue, with rich tan (not sandy) on face, ears, under body, lower legs and feet and around the vent (puppies excepted). The richer the colour and more clearly defined the better. 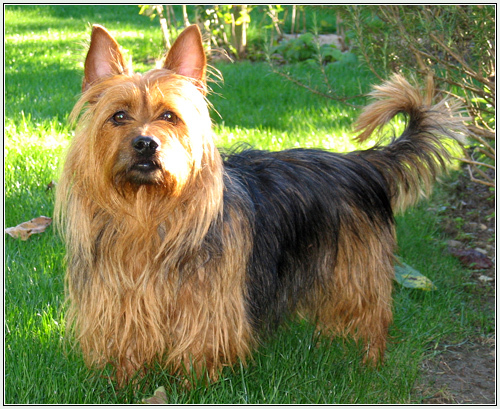 ‘Top-knot’ blue or silver of a lighter shade than head colour. 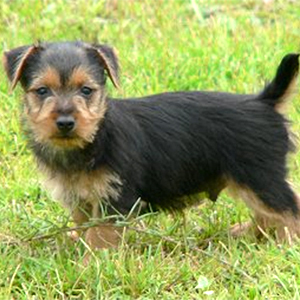 Height: approximately 25.5 cms (10 ins) at withers. 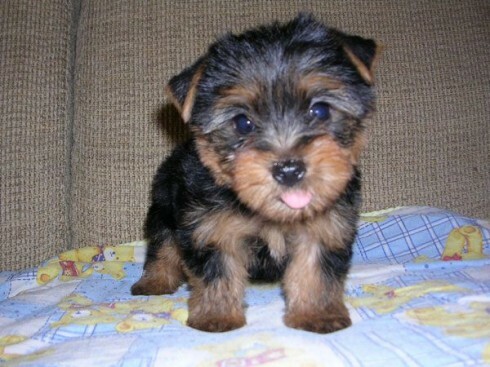 Weight: approximately 6.5kgs (14 lbs).